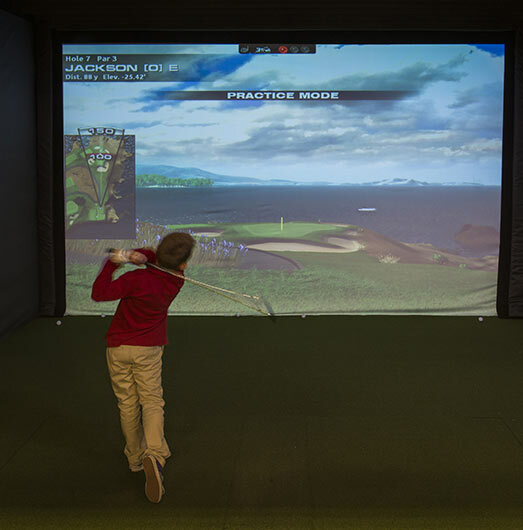 Impact Golf Center is Utah’s premier Indoor golf facility. Six indoor simulators for league or individual play, best video golf instruction and Utah’s best custom club fitting experts. Come by for a golf experience you’ll never forget. At Impact Golf Center you have over 40 courses to choose from. Come in to play 18 on one of the PGA’s top courses. Have you had your swing analyzed on video? Let us help you find your weakness and correct it the right way. Don’t just buy clubs off the rack. Having your clubs custom fit to your swing allows you to play golf at your level. At Impact Golf Center we believe in a simplified teaching process that focuses on the impact position of the golf swing. Golf is hard enough without making teaching so complicated. Are you still buying clubs off the rack? Have your clubs custom fit to your swing to see the difference. Let one of our top pros help you with your club fitting today.